There are some excellent resources, including the calendar (pictured above) which includes daily information and weblinks. An expanded version of the resources linked on the calendar is found here. And USCCB.org also has resources for National Migration Week, beginning on Monday, January 8th. More on this later…. Today was the first in-service for where Rachel, Tera and I teach. It was a valuable, focused session on key classroom technology that all of use. Tomorrow is our full day, full faculty in-service on The Big Picture for the year. Monday has the faculty/staff business meetings. I see my freshmen briefly on Tuesday and Wed is the first full day of school. So, I need to get focused on the technology I plan to use in my classes this year. I’ve gathered lots of links which will help me with this. As I hope they’ll be helpful for you as well, I’ll make a number of posts today. For the Religion teachers out there, here’s a great list courtesy of Jared Dees and his excellent The Religion Teacher blog. Explaining how a class will run (rules & procedures), but not why they are there. A good list, I must say. Compare it to the other “don’t” list I posted recently and you’ll see some clear similarities. If you’re still getting ready for 2015-2016 – Blessings on your preparation! If you’re already rolling with students in 2015-2016 – Blessings on today and every day of this school year! Like Fraiser from Cheers or Mork and Mindy and Laverne and Shirley from Happy Days, this blog now has a spin-off – uncommon communion. After looking back through this history of posts on Ed Tech Emergent, I realized that more than a few crossed from the stated mission of the site to wider territory. While I hope readers have enjoyed exploring that wider territory, it has taken us afield from the core goals of this blog. And this is a professional, team blog with a fundamentally educational focus. So please visit (and follow) uncommoncommunion. Learn more about me and the vision of that blog. So, please come and visit me over at uncommoncommunion. I promise it will be interesting, thought-provoking and worth the trip. It feels somewhat abrupt to me that the Catholic church year moves from Pentecost right back into Ordinary Time. I like how the ELCA (Lutherans) now count the weeks until Advent as Time After Pentecost. I like the Roman Catholic use of Ordinary Time, but maybe we could also have a few Weeks of Pentecost to reflect for more than one day on the coming of the Holy Spirit and the birth of The Church. Great, Free MOOC on Dante’s “Purgatorio” – Underway Now! Earlier, I posted about MOOC’s and the increasing value of them. I’ve dabbled in a few so far – registered, watched a video or two and then became too busy to give much attention to learning through it. It began last week, so register quickly to not be too far behind. 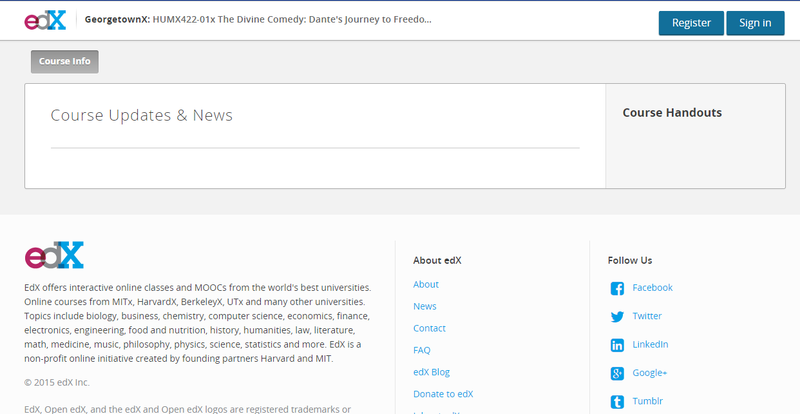 Go to the edX portal, create an account and then register. You’ll then have access to Georgetown’s “My Dante” portal. Can you receive CEU’s (Continuing Education Units) for this MOOC, like you can with other on-line courses? Our diocese, already grants credit for paid classes through Dayton U. The coordinator and her committee are currently considering whether to grant units for MOOC courses which may not have the same form of verification as similar, paid-registration courses. Are you registering for and participating in this Dante course? If so, let me know to look for you there! Disclaimer – Since I don’t seek to profit from these files, I don’t cite the source for each of the images found through a Google Search. Sundown tonight begins the Jewish festival of Purim. This joyous celebration, remembering the salvation of the Jewish people by God through Queen Esther, is filled with religious meaning and many traditions. I like to teach my freshman and sophomore Religion students about the Jewish holidays as understanding these is crucial to knowing the culture and traditions out of which Christianity developed. 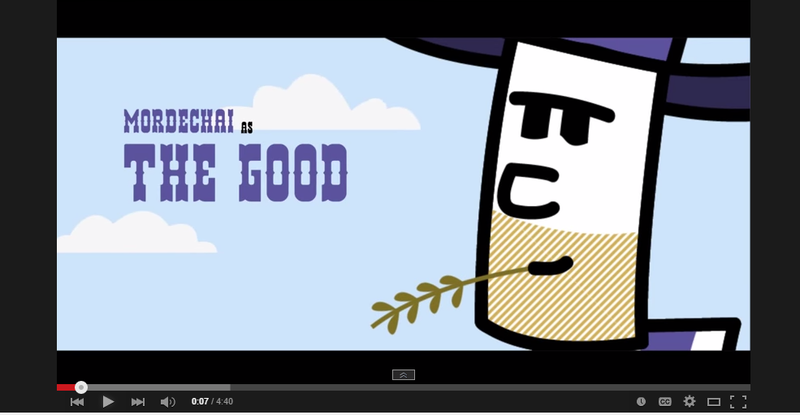 Purim Animated – an engaging 4:46 overview of the story of Esther and her people. The Book of Esther Goes Western – a very creative 4:40 re-telling of the same story, but with a “spaghetti western” motif. 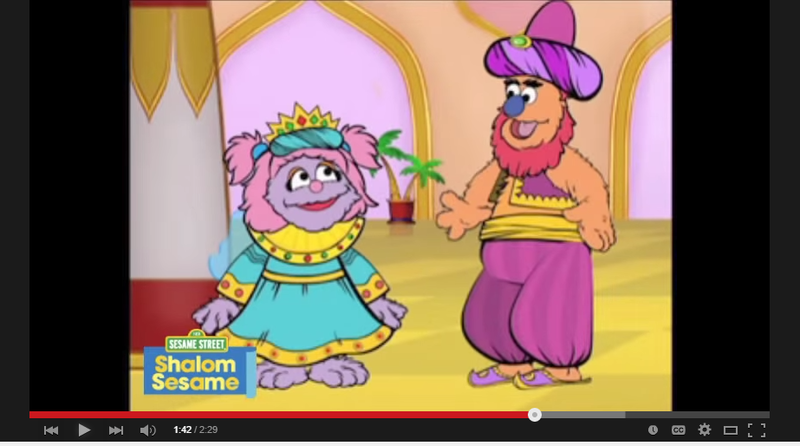 And for a Sesame Street (actually “Shalom Sesame”) inspired version there’s the 2:29 Purim Story. Finally for a humorous, but factually accurate look at how some Jewish adults celebrate Purim, view the 3:51 parody Move Like Graggers. For more videos and other information about Purim, visit the American Jewish site AISH. I stumbled across a website which I’d like to share. As mentioned in a previous post, I believe educators should keep on top of what’s being posted about the events and ideas in the world. Obviously, this can take up much valuable time in an already busy educator’s life. Thus, it’s important to find those quality sites which aggregate solid information. As I mentioned in a previous post, I’ve been exploring the Tackk platform. So far I really like it. So, I’m thinking of soon making a video “tour” of it to post here. Until then, I’d like to share a Tackk I’m updating every day with Lenten reflections. I’m inviting my students to visit it regularly and perhaps you’d like to as well. And don’t forget the link to the illuminated weekly gospel.